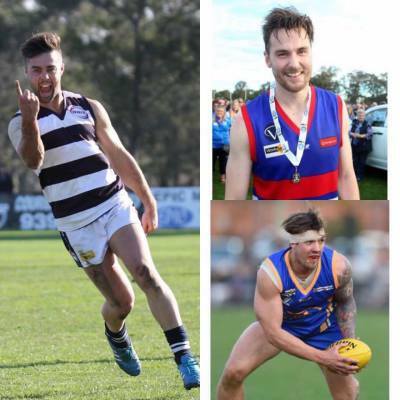 in a Grand Final in 2014 and then in a Premiership in 2015, Jeremy comes to Albion with a impressive resume such as a Interleague Rep Player, HDFL Team Of The Year and 3rd in the HDFL League B&F, Great to have this on baller/ key forward at the cats in 2016! where it all began back at the Cats, Once again Aaron Tymms is stoked with securing the signature of Josh for 2016! 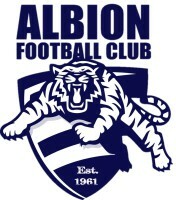 in front and also great kick for goal, James also played his Juniors at Albion. Great to have him back at the Cats for 2016! Kym Taylor, Kym is a very good footballer playing 2 years at the Western Jets in 2010 and 2011, Kym also played in the Under 17 Vic Metro squad in 2009, Kym took a year of last season but was always around the club, coaching the Under 16s at Albion, Kym's Speed and Agility will break the lines like no other and will be one to watch as he could set the game alight next season at the Cats! Hamzah Ali, Hamzah is younger brother of Sammy Ali who dominated the backline this year at the Cats, Hamzah played for the Western Jets in 2013, He also played in last seasons Premiership in the U18s Spotswood team, It will be great to see Hamzah is the Blue and White hoops in 2016! hard nut back at the club and on board for 2016!